This straight-to-the-point guide to social media marketing is made with your business interests in mind! Want a FREE hard copy of the guide? Just contact your Foremost Marketing Representative. This straight-to-the-point guide to social media marketing is made with your business interests in mind! It can be overwhelming and a little scary to manage your agency's social media presence. We totally get that. This is a judge-free zone. Whether you use social media every day, have somewhat of a plan, or haven't looked at your company's social media feed since last winter, this guide is for you. Oh, you're a little skeptical about this social media thing? It's not nonsense or only for the Millennials in your life. Nearly 80% of consumers say that companies on social media influence their purchases!1 That means your buyers are scouring the Web to research what they purchase. When your agency has a solid social media presence, it helps establish credibility and trust with current and new customers. And when existing customers write reviews and Tweet kudos about your agency on social media, you'll feel like you hit the marketing jackpot. 88% of consumers trust online reviews as much as personal recommendations2. Word of mouth on the street; good. Word of mouth on social; incredible. You're re-thinking social media now, right?! 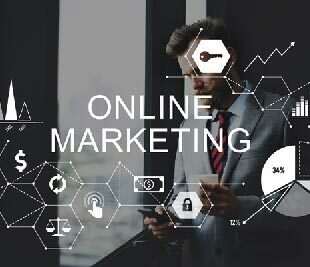 Social media marketing is pivotal to your brand because it's the newer version of traditional (TV, radio, and print) advertising — and one that can be much cheaper. On Facebook alone (we'll talk about other platforms as well) there are over 1 billion, and counting, daily active users according to the platform's website. Think about how many of those people have insurance buying power in their household. Social media's just too big to ignore. Convinced now? Awesome. 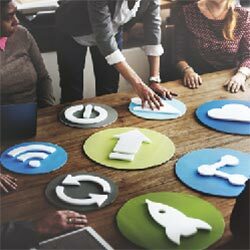 The content in this guide will teach you new techniques and tactics to improve your agency's social media presence and website. You'll learn how to figure out what platforms to be on, when to post, what to post, the importance of content marketing, see real examples from Foremost's own successful feeds, tips on what to put on your agency's webpage and so much more. All the information in this guide is based on our experience with social media marketing. The content of this guide is subject to copyright protection and may not be reproduced without first obtaining our express written permission. We are not affiliated with any of these social media platforms or services, and we are unable to warrant their functionality nor are we responsible for any issues or consequences you may incur in your social media marketing efforts as a result of reading this guide. This guide is not intended to apprise you of all intellectual property and privacy laws that you need to comply with as you engage in your social media marketing efforts, please consult with your own legal advisor. Which Platform Should My Agency Use? There's a sea of social media platforms out there. In this booklet we're going to focus primarily on Facebook, Twitter and Instagram. It's important to focus on one or two channels instead of all of them, because consistency is key. If you're managing too many platforms here and there, your results will be mediocre. Facebook is the largest growing social network, according to their website. This channel is a fixture to the online experience. Some folks even check Facebook before their email when they wake up, and before they go to bed. (And by "some people" we're not just talking about the Millennial who wrote this). The average user spends 20 minutes a day on Facebook.3 Back to what Facebook is: It's what we consider the original, most successful social networking site. 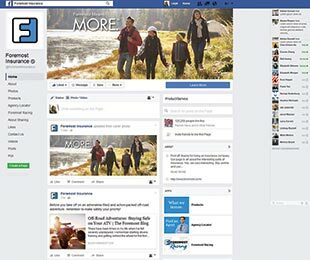 There are Profiles for people and Pages for brands/companies. Twitter can be a lead gen machine and a way to spur brand loyalty. Its demographic has broadened to include more male users, ages 65 and older, those who live in households with an annual household income of $50,000 or more.4 On this platform, you send out public messages in a Tweet which is like a 'post' but only with 140 characters. Get a real life example by going to Twitter.com/foremost. If you're on a time crunch and can only choose one platform, we suggest Facebook. Here's why: It's the channel with the most users and has a wide, wide demographic. Plus, get this: A recent survey found that 60% of consumers visit Facebook Pages before purchase.6 And when your agency's page boasts great reviews, customers will be more apt to do business with you. If you have the time and resources to do all three, it's best to understand content distribution. What does this mean? Don't cross-post or broadcast the exact same stuff on each platform. If you post a photo of a huge pothole in your local area to warn customers about it, don't post it on Facebook, Twitter and Instagram at the same time. It looks lazy, and why have three accounts if they're all the same thing? Instead, you could post the pothole-photo on Facebook if your following is largest there. Then later in the day or week, Tweet it to your followers and provide a short write-up on how to avoid it or fix a flat if it's already done damage. It's ok to cross-promote, just not cross-post. If you're going to post the same content to multiple social networks because you want more people to see and benefit from that content, feel free to cross-promote but make sure you tailor the text to suit the network you're posting it on and to the audience that will be seeing your post. Think about it like this: Would you want your audience on Facebook to see a shorted post that's 140 characters and clearly created for Twitter? Probably not. The latter platform can hold bigger media files and the character limit is broader. Take advantage of each platform's offerings! Another way to help reduce cross-posting is by developing a niche for your channels. Perhaps you dedicate Twitter to live events, Facebook to promote your blogs, give company updates, provide info on referral programs, and Instagram is dedicated to infographics. However you choose to divvy up your content, be sure to stick with it! Need an example? Our Instagram feed is filled primarily with motorcycle stuff. We use it to promote our media coverage at events like the motorcycle rally in Sturgis, SD and Daytona bike week. This is a great place for you to like our posts and get ideas for your own Instagram. 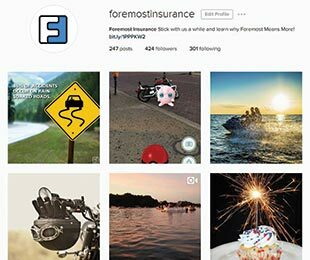 Check out @ForemostInsurance. 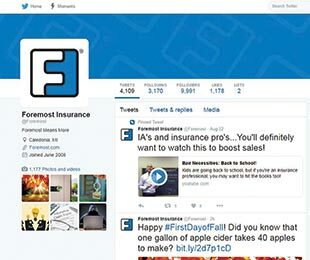 Our two Facebook pages, one B2B and the other B2C, are easily differentiated because with The Foremost Insurance Guy Page, we're talking to you, the insurance pro! Our consumer-facing page, Foremost Insurance, is filled with DIY tips, lifestyle-type content about our products, and event updates that you can share with your customers. 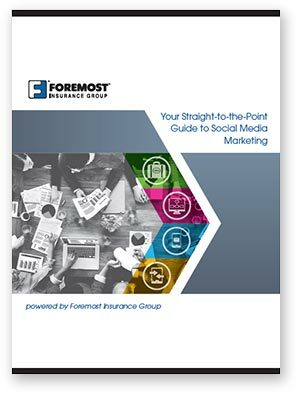 Your Straight-to-the-Point Guide to Social Media Marketing powered by Foremost Insurance Group is an independent publication and has not been authorized, sponsored, or otherwise approved by Apple Inc. iPhone is a registered trademark of Apple Inc.
Let's start with your agency's profile picture. We recommend you also use your agency's logo. This gives your social media page proper branding right off the bat. 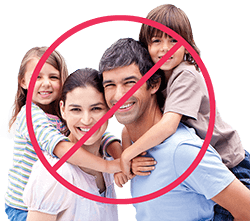 You may be asking "Why can't I just use a family photo? We're the ones who run the agency." Good question. Think about some of your favorite brands. The founder's headshot probably isn't on their social media page, right? A headshot or family portrait can't convey a story as strong as a logo can. Logos help people find, identify, and relate to businesses through design. A memorable logo is a powerful way to differentiate your business amongst competitors, keep your agency top of mind to customers, and can help your business grow brand awareness and increase customers. Here are some examples of real independent agencies who have great logos. A symbol, icon, or even a font-type can make for impressionable logos. So how much does a logo cost? Us marketing folks at Foremost suggest you think of your logo as a nice investment to your brand identity, instead of as "another advertising expense." Get creative and reach out to designers in your area, or perhaps even to students at a local design school for help in developing an appealing logo. When your agency logo is updated, be sure to request that it's formatted to fit in each of the Big Three's profile picture dimensions. We've listed the dimensions because we're awesome, and it's helpful! Photo will appear on page as 160 x 160 pixels. JPG file format is recommended. 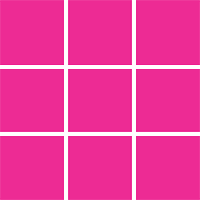 Square Image — recommended 400 x 400 pixels. Maximum file size 100 KB. JPG, GIF, or PNG as file formats. This small, circular image will show up on your agency's profile page on Instagram (or as some folks call it, "IG"). Great cover photos tell a story and don't contain too much text. Photos that show an activity have a bigger appeal than a generic landscape photo. If your agency writes mostly auto, consider finding a photo with a car broken down on the side of the road or a teen getting keys to her first vehicle. If you write multiple products, focus on one and consider changing it every couple months. When you select a photo that matches your agency's story, it will reinforce your brand to customers. Regardless of how many products your agency covers, a good rule of thumb is: Change out your banner photo once every quarter. 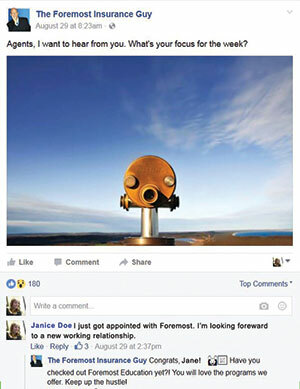 It helps your agency's visibility in your customer's News Feed. It's an opportunity for you to highlight a current offer or event. I.e., we change our banners to follow a sort of "seasonality" in product. And, we always change out the photos before big events we are covering or product lines we want to promote. Boosts brand awareness to your fans and followers. The more activity your customers see, the more likely they are to stay and interact with your page. Be sure to use pictures and images that you own or have legal rights to use! Here are the dimensions for Facebook and Twitter's cover/banner photos. Appear on page at 851 x 315 pixels. Anything less will be stretched. Maximum file size of 10 MB. These specifications are accurate per time of publish. Please verify the current requirements for yourself. Once your agency profiles are created, now it's time to fill out page information. Each social media platform allows you to add a bio, address, phone number, and website at minimum. Be sure to fill in this portion so your current and potential customers know how to get ahold of you! Adding these tidbits makes your profile complete and credible. Currently, the easiest platform to get verified on is Facebook. Verification is currently used to establish authenticity of identities of key individuals and brands. See this check mark next to our name? That's a verified account. If you see a gray badge on a Page, it means that Facebook confirmed that this is an authentic Page for this business or organization. These pages show up better in search results on Facebook so your customers can find you more quickly. 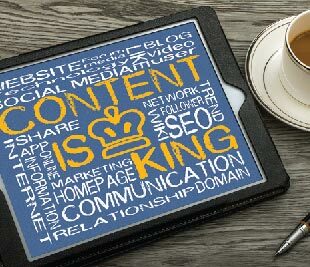 You may have heard the phrase "content is king." If you haven't ever heard the phrase, here's what it means (in our interpretation): Content is the way people find you! When you post shareable information that helps your customers do or learn something (like a "how-to" post or an infographic), it boosts your agency's visibility, authority and credibility. 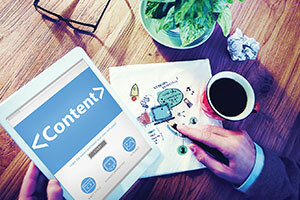 Content is the backbone of a digital marketing strategy. Brands that push out excellent, useful content "rule," in a sense, that space. So what's the big deal about content marketing? Well, it's not just trendy, it's vital to a company's success! Over 60% of companies said posting content on social media has increased marketing effectiveness.8 Most new digital marketers make the common mistake of only publishing their offerings and deals instead of cultivating a conversation through engaging content. The philosophy behind content marketing is that if businesses deliver consistent and useful information to buyers, they're rewarded with business and loyalty. Content marketing gives your agency a voice! Nowadays, customers aren't won over with advertising alone. Instead, they're browsing the web, reading reviews on social media and educating themselves on potential purchases. Before you dive into creating content (or re-booting your social media marketing plan) consider evaluating and re-developing a brand voice if you haven't already done so. Let's break this down a little. In technical terms, a brand is the "name, term, design, symbol, or any other feature that identifies one seller's goods or service as distinct from those of other sellers," according the American Marketing Association. Brand identity is the representation of your company's reputation through the conveyance of attributes, values, purpose, strengths, and passions. Things like your agency's logo, name, and tagline all add up to how your brand is perceived by consumers and competitors. Why is this a big deal? Because it affects your brand voice which affects how you write and communicate. What personality do you want to portray when people experience your brand? Your agency's brand voice should help you communicate your message on social, on your website, and on all of your other marketing pieces. What to Post, How to Create It, and When to Hit "Publish"
Ready to make some eye-catching content? Here's a list of three types of content you can easily incorporate into your social media strategy. We've also included some tips on how to actually create each type, too. What it is: An infographic is the visual representation of information or data. Info + graphic, get it? ;-) Infographics have a high share and view potential (when done correctly) because of their digestible visual format. This type of content is not only fun to look at, but easy to learn from. How to use it in your agency: Let's say your agency churns out a ton of boat and PWC policies. You could have an infographic that shares data on boating accidents and "three ways to prevent them." The key to making these is to have enough data and verbiage to create your story. Creation process: If you have a budget for a graphic designer, have him/her create a few of these pieces on different topics all at once so you have them on hand. If you're ballin' on a budget, sites like Infogr.am and Piktochart offer free templates. We're not affiliated with these companies, but are impressed with their awesomeness. How to use it in your agency: Have someone from your agency give a PSA on seat belt safety or 5 tips for updating your home. Maybe film yourself talking about an upcoming community outreach program. Perhaps you want to get a little creative? Make a road trip to the beach and create a beach safety video. Creation process: Whether it's shot on a smartphone, webcam, etc., video should be very engaging for your fans and followers. It's always nice to hire a pro (or semi-pro), but any camera-like device will do. Pro tip: Keep your videos under two minutes or else you may lose your audience. You can easily upload your videos to your agency Facebook page right from your smartphone too. Platforms like Facebook and YouTube™ video community offer live-streaming technology, so if you're at an event or want to speak candidly to your viewers, you can do so in an easy way. What it is: If you have a blog or a "news section" on your website, we recommend that you post at least once a month. Blog posts are written entries that are similar to articles or op/ed pieces. Most blogs are a few paragraphs long and tell a story of some sort. Creation process: Decide where you want to host your blog posts. There are many free sites out there like BlogSpot™ web publishing service that will house your posts for free. If you already have a blog but haven't written anything in a long time, it's never too late to get back on the saddle. Then decide what you want to write, commit to a consistent schedule and begin publishing your writings. Pro tip: Add photos to your blog to give it life. When you publish a mix of interesting content, we believe you'll notice more traffic, unique visitors, an opportunity at higher conversion rates, and better SEO for your agency. While you're gathering resources to create these three types of content, look to our Social Media Suitcase® for free grab-and-go content to post on your social feeds in the meantime. Pro tip: Posts and Tweets that contain relevant photos get 94% more views than content without relevant images.10 Don't simply count on the thumbnail image from an article or blog to grab a viewer's attention. Upload your own to pique your audience's attention. In a Pinch to Create Content? Churning out original content can be tedious. Whether your agency has a full-time marketing pro or a staff member who doubles up on all things digital, be sure to check out our free online resource center: The Social Media Suitcase™ (SMS). The SMS is an award-winning website, powered by your friends at Foremost, which offers free grab-and-go content on a variety of topics to share with your customers. Plus, the site contains tons of helpful guides and how-to articles on how to continue building a successful digital presence. Be sure to hop online and bookmark the Social Media Suitcase to put a competitive edge in your agency's social media marketing. You can totally take awesome photos on your smartphone that are worthy and useable for your agency's social media marketing efforts. Nowadays, these bad boys come with pretty great resolution and offer an array of editing options. Practice these three pointers to take your phone pix to the next level. Things that are always framed up in center can be a little boring and predictable. Have some fun with your image and make it stand out by placing the subject near the lower left or upper right. Here's how you practice this: Pretend your frame is divvied up into three equal sections, both horizontally and vertically. (Most smartphone cameras have a setting that will show these gridlines for you, when selected). See the points where the lines intersect? That's where you want your subject to be. Try it! Pro Tip: Experiment with different angles. Get low and point the lens up toward your subject. Or maybe grab a bird's-eye-view by standing above your subject and pointing your phone's lens directly above it or at a 70° angle. Avoid blurry and dull photos by taking your shots when there's enough sunlight. Smartphone cameras capture less light and less detail, so you want to make sure to shoot in the morning, when the sun isn't too bright, and in the evening, right before the sun sets. This isn't to say you can't take out your phone at 3 PM on a bright, sunny day and snap a pic, it just means you may want to adjust your exposure or edit the photo before you publish it. If a scene is too dim, you can increase the exposure to allow more light into the camera's sensor. On the other hand, if it's way too bright, there should be an option on your camera to decrease the exposure. You'll see these options appear on most touch-screen phones when you tap the screen. Then, while focusing on your subject, drag your finger up or down to adjust the amount of light coming through. To edit photos, open up your smartphone's photo album and select "edit." There should be an array of color, contrast, saturation and filter options for you to play with. There's not a one-size-fits-all key to photo editing smartphone pictures, so be prepared to have a little fun with it, but also some patience to produce the right look. Have you ever seen a professional photographer snap photos? Some of them take dozens of shots per second, not just one slowly here and there. You can capture fast-moving subjects and different expressions (like a boat cruising by or kids racing to the RV) with an option most cameras have called "burst." Activate Burst Mode by holding down the Camera's shutter and let it keep snapping pic after pic for a few seconds. The result? About 12 photos you can choose from. Keep the best and delete the ones you don't want! It's important to remember that once you start posting, you shouldn't stop! Be consistent and commit to your frequency plan. There isn't a fool-proof, methodical guide to how often you should post, per channel, but we've developed a little chart as a guide to kick-off your social media execution. You don't need to follow this regiment exactly, but pick at least two platforms and promise yourself and your agency that you'll post frequently! We recommend sticking to this plan for two months, and after you evaluate the results, tweak as necessary. You might find that your core audience is having a blast conversing with you on Twitter. On the other hand, you could discover that nobody with buying power is interacting with you on Instagram, and that no matter how many cool mobile home pics you upload, it still isn't generating leads because you find that folks who own a mobile home in your area aren't on the platform. Execute, analyze, and adjust. Always. Now that you've decided what days of the week you want to post, you'll want to figure out what time to post. Similarly to the process above, this will involve some trial and error. Try posting in the morning, around 12:30 PM your time (we've found that there's a peak in social use right after lunchtime) and in the evening. Test this for about a few months and adjust if needed. A great way to cross-check your posting times is looking at Facebook Insights, Twitter Analytics and LinkedIn professional networking services Company Page Analytics — which are free to use and explore. With Insights, you can get a deep dive into how each post is performing. This analytical tool will help you make decisions on what you post and when you post it. Plus it'll help you figure out what kind of content your audience enjoys that keeps them engaged. The three tabs we'll focus on in this section are, "Reach," "Posts" and "People." The Reach tab shows how many people saw your posts as well outputs how many likes, shares, comments and reactions people had. You can set a specific start and end date to analyze data over a period of time. 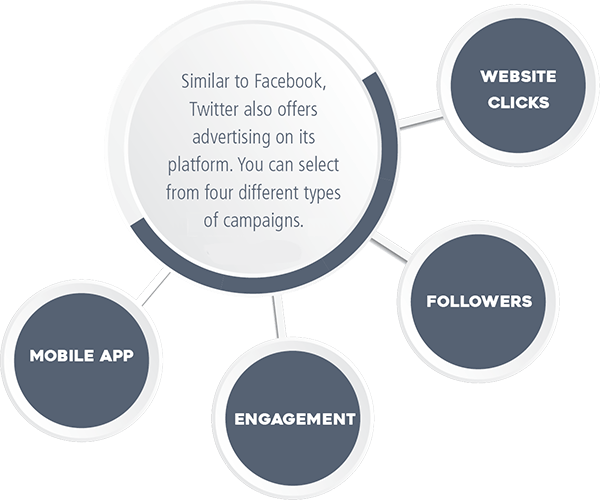 This is especially helpful if you have annual or monthly campaigns so you can compare/contrast its performance! You'll notice this tab also provides information on organic and paid posts. Organic means the content was shown to fans through unpaid distribution. Paid reach or "paid" indicates the post was distributed with money behind it — typically to increase performance. We'll talk more about paid/sponsored content, boosted posts, and ads in Social Media Ads. Go ahead and click on "Posts" to see a performance rating on all of the content you've published to your agency's page. This section shows data categorized per day with a column and per time with a graph. Overall, you should be able to get a sense of when your fans are online when you look at this section. You can also analyze the performance of a post based on what type of content (photo/infographic, link or video) you published. The two columns to focus on in this section are Reach and Engagement. Reach is the number of people who have seen your post. Your post counts as reaching someone when it's shown in their News Feed. Engagement is the percentage of people who saw a post that reacted to, shared, clicked or commented on it. If you consistently see that your landlord-related content, specifically videos, are performing well, it's a good sign to keep churning out that type of content! Remember, time and date affects performance too. That's why it's good to go into the "People" tab as well. The "People" section on Facebook Insights provides a breakdown of who your fans are, including insight to age, gender and location. This is a great snapshot to analyze because as Facebook for Business states: When you understand who your audience is, you can create content just for them. For example, if you have a business that sells to both men and women, but see that women engage with your posts more often, you can focus on the audience that's actively engaging with you on Facebook. 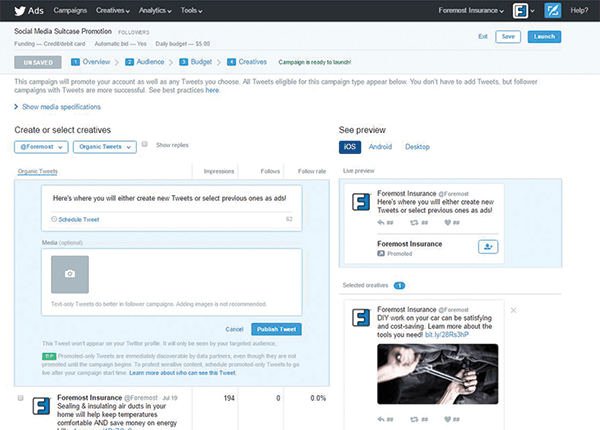 Twitter Analytics is also a free tool for marketers to use. With this, you'll be able to see impressions (how many times your agency's Tweet showed up in someone's feed), as well as click stats, engagement metrics and insight on geotagging. You can find your agency's analytics at analytics.twitter.com. If you've never used this tool before, it'll take Twitter a moment to pull data calculations. 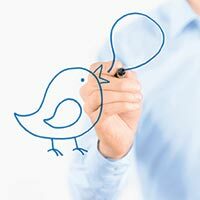 Depending on how long you've been running your agency's Twitter account, you may be able to see a month-to-month summary. If you just started, you'll need to give Twitter at least 14 days to calculate data. You'll also notice Tweet Highlights which are broken down into Top Tweet, Top mention, Top Follower and Top media Tweet. Your monthly (or weekly, depending on how often you're analyzing it) Top Tweet is based on impressions and total engagement. Total engagement factors in link clicks, Retweets and likes. The more people engage and see your Tweet, the higher your "Top Tweet" goes. Top mention means that when someone Tweeted at you or mentioned you, it was seen and interacted with more than any other time someone else mentioned you. Top Follower shows you a person or brand who has the most Tweets, followers, and following during the selected duration of time. Top media Tweet is just like Top Tweet, only with the added metric of media engagement. This means you added a photo or video to your agency's Tweet, and Twitter has calculated that into its performance. These metrics will help you understand what content is resonating with your audience. If you click on "View all Tweet activity," you'll be able to see a granular output of how the Tweet performed. You can learn about who your followers are when you click on the Audience tab. Audience Insights will show you what your followers are interested in, what their lifestyle is like, what their consumer behavior is, and in what region they're located. Just like Facebook Insights, these details are important so know what type of content to deliver to your consumers. You wouldn't want to be Tweeting about mobile home safety and DIY hacks if your following is more interested in toys like boats and motorcycles. The Audience tab also provides data on household income categories and occupation as well — these types of information will clue you in on whether your audience is simply looking for a fast deal or cares about value and long-term functionality. Instagram just launched a new tool for business users which will allow its managers to promote and review the analytics on particular posts! This free tool will track metrics like the best times to post for maximum engagement, engagement rates and engagement growth. It also shows your best performing content, both in terms of likes and comments. You can promote your content by using ad creation, Power Editor or the ads API, similarly to Facebook (they're owned by FB). You can access this information through your user home page by clicking on the insights tool in the top right corner of your phone. The one metric Instagram analytics doesn't have is follower growth and losses. For this, we recommend using the website Iconosquare, which offers this free measuring tool. 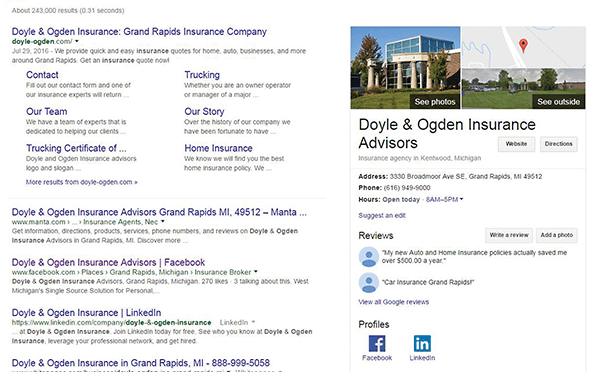 Is your agency on Google™ search engine? You can find this out by typing in your agency's name. We're going to use Doyle & Ogden as an example. See how their website pops up as well as this Google search result? When your agency is on Google Maps™ mapping service and synced with Google My Business, it will help your customers navigate to your location, review and read reviews, access your website, and provide an overview of your business. First, go to Business.Google.com. You'll want to "Select or Add Your Business." A page like this will then pop up. If you're adding your business, make sure you fill out all the information. It won't take long, but don't breeze past this section. The more specific and accurate the information Google has about your business, the better it will be able to correctly classify and display your business listing. Once you add or claim your business, the next step is verification. Per Google, the verification process helps ensure that your business information is accurate and that only you, the business owner or manager, has access to it. 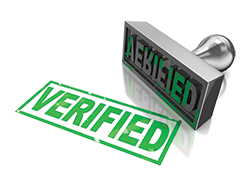 You may see one or several types of verification depending on the type of business you manage. When you're done confirming your business, Google will automatically make you a Google™ social network account. This is similar to other social media platforms. You may not use it every month, or every year, but make sure your agency's information is listed correctly and include a few photos as well as product description. This will all help boost Local Search Optimization, which will help drive more traffic through your agency's door. The Big Three (Facebook, Twitter and Instagram) have official "Follow" buttons you can include on your website and blog. That way, people can start following you with a single click — without ever having to leave your website or blog. Second, make sure your content — Tweets, posts and Instagram photos have value and are engaging. Too much product promotion, posts on referrals or deals may drive customers away. Aim for posts that contain educational content (like DIY stuff) that has the potential to attract more fans and followers. You can read more about this in the section titled, What To Post, How To Create It, And When To Hit "Publish". Third, interact! Social media is for building relationships and having conversations online. When you interact with your fans and followers, you'll build a loyal and engaging following. How do you do this? Ask questions in your posts and employ your new knowledge of # (hashtags) in discussions. For example, on Twitter, you could tell your audience that for one hour, you'll host a discussion on how to renovate your mobile home for $100 or less. Your hashtag for the discussion, if your agency name is XYZ Insurance Co could be #XYZLovesMobileHomes. When people respond or comment, reply back and keep the discussion going! Another way to gain a solid following is through ads. 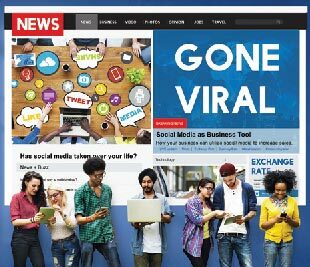 Social media advertising can be a low cost way to target prospects and build a fan base. In the next section, we'll discuss Facebook, Twitter and Instagram ads. If your agency has a budget, we recommend using some of the funds for advertising. Digital advertising is a natural choice for modern businesses and an easy way to reach your audience where they are — on their phones, computers, tablets and of course, on-the-go! With the advanced technology of social media advertising, your agency may be able to target your audience in a specific, effective manner. Plus, you'll be able to track the performance of the ad, edit it, and see results in a more precise way. Think about the last time your agency had an ad in the newspaper. How did you track the results? With social media advertising, you have the potential to track clicks, views, sign-ups, leads, and more! In this section, we'll focus on two platforms: Facebook and Twitter. To get started, head to "Create an Ad" on the left column. Then you'll see a page like this appear. Facebook offers four different types of ads. Facebook's Ads Manager (the platform you'll be on) provides a great step-by-step walkthrough, so the process can be pretty simple. 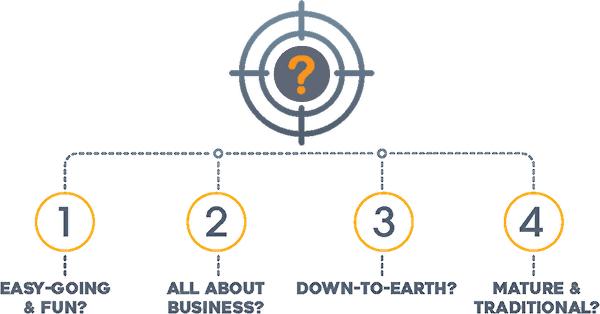 This page shows three groups of objectives you could set for your agency's ad. Awareness — This is an option perfect for boosting your agency Page's visibility. Consideration — Ads focused on this objective should be pointed toward customers who are in the midst of searching for insurance solutions. Conversion — If you're looking to get the word out about your referral program, an offer, or more leads, this objective is for you. Keep in mind that viewers typically turn into consumers after they've learned a little more about your agency. If your main goal is to increase Page likes and interaction of your posts, we recommend choosing the Awareness objective. Once you've selected your objectives, Ads Manager will ask you which Page you'd like to start your ad campaign on. After that, you'll be taken into the section called Ad Set. 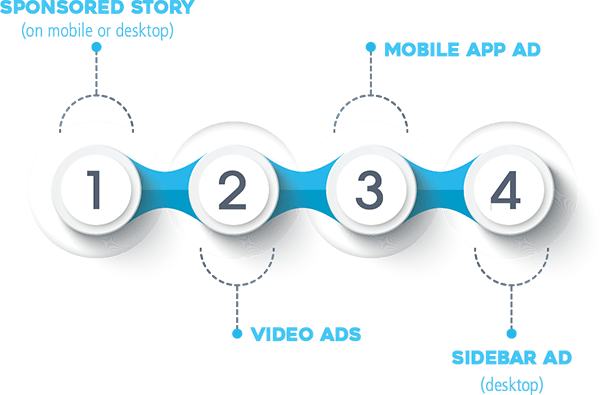 Ad Set is where you define your audience, budget, placement and schedule. Plan on spending some time on this section. If you're considering social media advertising, it's important to remember that ads don't happen overnight. Sure, you can create them pretty quickly, but they'll take time, money and testing. This isn't us endorsing or promoting Facebook ads, we just want you to keep the theory of "ad testing" in mind because if you go this route, we want your agency to have stellar ads that give you ROI. Back to the Ad Set. The first section you'll see is Audience. This portion is crucial and requires you to know who your agency's target audience is. You can drill down to specific locations and pick your city, cities nearby, or cover a broader area. You can also select an age range, gender, language, demographics (financial income), interests (like sports or music), and behaviors (think purchase behavior). These options will maximize the visibility of your ad. The next section below Audience is Placements. Ads Manager can automatically place your ad on the Mobile News Feed, Desktop News Feed or Desktop Right Column if you want it to. When you do this, you have the opportunity to reach more people at less cost. 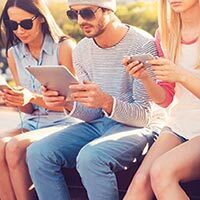 If you think you really know your agency's audience and want to choose your own placements, say only on Mobile News Feed because you're targeting a group of people who are always on-the-go, you can do that too. But then you may run the risk of spending more for less return. Finally, the last portion of the Ad Set is Budget & Schedule. You'll be able to set a Daily or Lifetime budget for this ad campaign starting at $25. You also have the option of selecting a start and end date of when the ad will run. Okay, here's our favorite part — creating the ad! You can either upload images or choose images previously published on your agency page, create a slide show or upload a video to create the advertisement. Remember your audience demographic that you just chose a couple steps ago. If you need to go back, you can do so from the left column. Ads Manager gives you an Ad Preview so you can see what your campaign will look like on all platforms (Desktop, Mobile, or Right Column). Once you've selected the right photo(s) or video, it's time to Review Order, then Place Order. Congrats on your first ad campaign! To track your results, head to the Ads Manager homepage, and you'll see your campaign's performance. The performance chart will break down your results, how many people were reached and how much you spent daily per the dates you set. Another way to maximize advertising dollars is to Boost Posts. When you publish content on your agency's Page, there's always a blue button that says "Boost Post." When you do this, you're likely to gain more traction to the specific piece of published content. Just like in Ads Manager, you'll be able to select an audience, set a budget and duration, and see how the post will look on Desktop or Mobile News Feed. You can track the performance of these posts via Insights, Power Editor and/or Ads Manager. If you want to gain traffic to your agency's website or increase leads from a landing page, you'll want to focus on Website Clicks. If your agency is looking to build a following, we recommend you look into the Followers campaign. Followers campaign: Once you're logged into Twitter, head to Ads.Twitter.com to get started. You'll want to click the Campaigns tab. There are four steps to creating a campaign: Overview, Audience, Budget and Creatives. 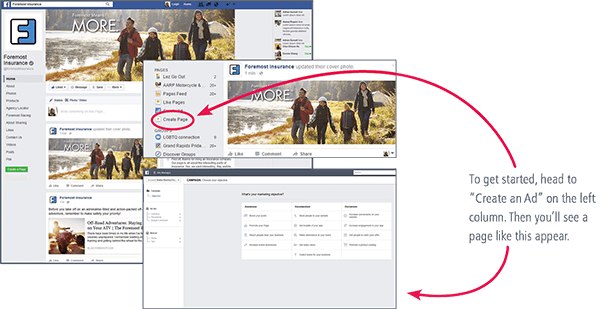 Just like on Facebook, you can select your audience, set a budget, and run the campaign either continuously or with start and end dates. Let's fast forward to the actual ad creation, step 4 of 4; Choose Your Creatives. This is the part where you create Tweets or select high-performing Tweets that were previously published to use as part of your campaign. From this drop-down you can select a variety of options. Promoted-only Tweets will highlight a particular status update to get more exposure for it. This is great for building awareness and building a brand voice. Scheduled Tweet: This is a good option if there's an event you want to promote, but instead of creating a paid Tweet on the fly, The Organic and All Tweets options let you see and select Tweets that you've previously published on Twitter. It's good to note that you won't see any paid Tweets on your agency's profile because only those in your target audience will receive it. If you don't fancy your previously published Tweets, you can create a fresh batch. Twitter recommends you launch three to four Tweets in your campaign to get the most bang for your buck. This will help increase visibility and show potential customers that your content is of value, which may lead to follower growth. So what makes a good Promoted Tweet? Be clear in your communication and in your "ask." Explain what your user will gain if they follow your agency. Is it tips on mobile home repairs? DIY help for landlords? Focus your message to your target audience and tell them what they can expect when they follow you. Even a simple "Follow us for (fill in the blank)" can improve your following. When you keep your ads actionable, you're bound to have a positive result. Believe it or not, (actually, please do believe us on this), Twitter advises leaving the hashtags and photos off of Promoted Tweets because they suggest that when you avoid distractions, users are more apt to follow. What's a Hashbrown, er Hashtag? Now that you've become more active on social media, you may have noticed others utilizing a strange-looking tool called the hashtag. Prominent on Twitter, Instagram and Facebook, hashtags are created by placing a pound sign (#) in front of a word or unspaced phrase. Hashtags provide a means for organizing and grouping ideas that are shared on a social media site. Are you still a little #confused? No worries! This section of the guide will discuss why hashtags are relevant, explain how to implement and search for them, and offer a few tips and tricks for crafting them effectively. First, let's discuss why you should care. Hashtags aren't just a silly trend — they are a fantastic tool for creative social media marketing. In fact, most of the world's top brands recognize hashtags' potential for driving engagement and thus frequently use them on their social media pages. It's reported that when compared to Tweets without them, Tweets with hashtags show 12 percent more audience engagement.10 Hashtags make your brand more searchable and your social media content more accessible. For these reasons, learning to effectively use hashtags will expand your reach and broaden your audience. In this example, the hashtag is placed at the end of the copy. This style works well if you want to ensure that your post is straightforward and clear, and if the hashtag you are using is a related idea. We are so excited to celebrate #NationalDonutDay! The hashtag in this example is inserted within the copy as part of the sentence. This style is particularly useful on Twitter, where Tweets are limited to 140 characters. If your message is longer and would benefit from being condensed, this approach is ideal. To find posts that contain specific hashtags, you can enter them in the search bar located at the top of the Twitter, Instagram and Facebook pages. This will bring you to a results page with the most recent or most popular posts that feature that hashtag. This can be helpful for monitoring conversations and learning about the general attitudes of people who are using that hashtag. Additionally, on Twitter trending hashtags are featured on the left column of the homepage, while on Facebook they are featured on the right column of the homepage. Paying attention to trending topics is important for understanding your audience, creating relevant content and taking advantage of popular trends to expand your reach. Informative hashtags are usually more effective than abstract ones. If you are creating your own hashtag, strive for something specific and easy to understand. There's a reason the #IceBucketChallenge was wildly successful in raising awareness for the ALS Association. Keep it short and simple. Long and complicated hashtags can be tedious and a hassle to use. Though there are exceptions, the most effective hashtags are usually composed of one to three short, simple words. If you are writing about a local motorcycle event near your agency, consider using #BikeWeekGR instead of #BikeWeekGrandRapids. The latter is too long and has room for error while the first one is short and concise! Don't overuse them. If you choose to use hashtags in your post, they should be relevant and add clarity to the idea you are conveying. If you overuse hashtags in a post, the message will be diluted and confusing, so try to limit yourself to three hashtags per post. "Excited for #NationalDonutDay!" is much clearer than "#Excited for #national #donut #day! #National DonutDay2016." Capitalize hashtags with multiple words. Longer hashtags are more likely to be misread, but you can avoid this problem by capitalizing each word. At times this may be a stylistic preference, but when in doubt capitalization is a good way to add clarity. For example, #teacherappreciationweek is much more difficult to read than #TeacherAppreciationWeek. Consistency is key when creating hashtags. When trying to build a brand with an original, company-related hashtag, it may take a while for the audience to catch on. However, you'll encourage your followers to use the hashtag by consistently using it in relevant posts. You can also build momentum for your hashtag by frequently including it in other media channels, like print or video. Contribute to trending and popular hashtags. There are many hashtags that arise organically and gain traction because they are relevant to current events or are simply fun. Contributing to popular trends like #MySuperpower, #WhyISmile or #MotivationMonday expands your reach and allows you to engage and build rapport with your followers in new ways. Use hashtags for contests and calls to action. By creating a call to action that encourages followers to share stories or answer questions while using a special hashtag, you can generate buzz and excitement for your brand. You can even build interest by offering a prize for the best response! Hashtags are an important element of effective digital marketing, and by putting these tips into practice, you are one step closer to becoming a creative and adaptable #SocialMediaPro! By now we've learned that social media is so much more than websites we occasionally visit to find photos of old friends and amusing cat videos. 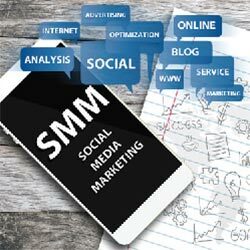 Social media is an effective marketing tool that empowers us to connect, engage and establish trust with current and potential customers. It's well-suited for raising awareness, cultivating brand loyalty and ultimately increasing sales. For these reasons, social media is also an important channel for customer service. Just how important is customer service on social media? Recent studies have found that 67% of customers have utilized a company's social media pages for customer service purposes, including asking questions or requesting additional help with products and services.11 When contacting a company via social media, 42% of customers expect a response within 60 minutes.12 Therefore, excellent and timely customer service is vital for companies that are striving to build their brands with social media. Actively monitor social media channels. Customers may try to contact you in a variety of ways on every social media platform you use, so it is important to be attentive to it all. Try to check your social media pages at least every two hours, and be sure to view your pages' comments, personal messages and notifications tabs when you do. If possible, adjust the settings so you receive social media notifications on your smart phone. Always be kind, helpful and genuine. When responding to customers, choose to be authentic and transparent. 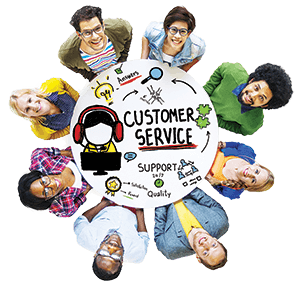 If your customer has a problem, expressing genuine concern and empathy is vital. Demonstrate that you are really listening and want to make things right. Practice patience and understanding (even when the customer seems ignorant or irritating), and express appreciation for their decision to reach out to you. If there is a positive comment, consider writing a thank you message. If there is a negative comment, never neglect or delete it. Instead, use it as an opportunity to show that you truly care and will do what it takes to correct the situation. This will have a positive impact on both the upset customer and all others who are watching. Be mindful of brand image and set a consistent tone. When responding to customers, it is important to maintain a consistent voice that is reflective of your brand. 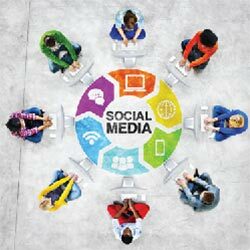 This will reinforce your other social media branding efforts and build an image of reliability and stability. Customers will get a better understanding of your company's identity and mission, and it will also be useful in creating a social media presence that is both professional and personable. Change the communication channel when necessary. Some issues can't be resolved via social media. Your reply may need to be longer than what's suitable for the platform, or your customer may need to privately share some sensitive information. In these cases, you should certainly transfer the interaction to email, phone or some other channel, but you need to do so carefully. In a recent study focusing on common practices that annoy customers, 37% of respondents described "getting passed around," either from one agent to another or from channel to channel, as a major source of frustration.15 That's why it's especially important to reply with a friendly and helpful tone, and to emphasize that you are determined to make things right. Take extra time to explain the reasoning behind your actions, and simplify the process by conveniently providing the contact information they need. Questions, concerns and complaints on social media are inevitable, but you can gracefully handle any interaction by practicing these tips. As you consistently resolve conflicts and build connections with followers, you will see your pages flourish with increased engagement and new customers. That's what happens when you maintain a reputation for excellent customer service! Some folks think it's okay to not have a website because they have Facebook. Nope. That's not okay. If you give up your website, you give up the opportunity to be in charge of your own content. The Big Three (Facebook, Twitter and Instagram) as well as all other platforms change quickly. The rules and layout change. The algorithm (the technology that decides what stuff, and when your followers see it) is recalibrated often. You own your website and its performance. Plus, it's easier for customers to quickly get a free online quote via your agency site than from an app hooked up to a social media channel. So, want the scoop on how to get your agency's site to be eye-catching? Let's start with the homepage. The homepage on your agency's website should leave a positive and lasting impression on your potential and current customers. 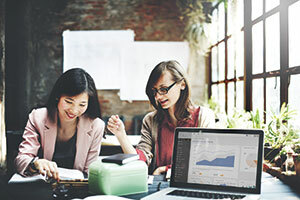 Entreprenuer.com16 recommends that businesses have these five basic things on their homepage to boost SEO (search engine optimization) and to give your audience a customer-friendly experience. Contact information: Is this information up-to-date and easily located on your homepage? Be sure to include an email address, full street address and phone number so your customers can reach you quickly. Photos that represent what you do: Family photos or clip-art graphics aren't relevant and don't tell your agency's story. For example, if you specialize in auto, consider displaying images of cars. Clear navigation with working links: Your agency's homepage should include a clear navigation system across the top of the site or down one side of the page. Tabs with information like "About Us" or "Products" should be easy to find. Email signup box: Boost customer loyalty with an agency newsletter and promote it via your homepage. A signup box shows your current and potential customers that you're committed to delivering engaging and useful information. 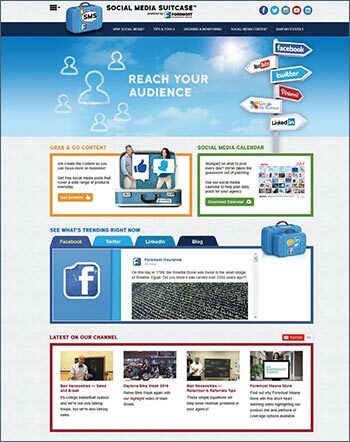 Visible social media buttons that take users straight to your pages foster interaction and strengthen brand awareness. If your agency doesn't have a website yet, we recommend checking out the following links to create a free site. Please note, Foremost is not affiliated with these resources or warrant their performance. Get your free hardcopy of this social media guide! Want a free hardcopy book of this social media guide? Contact your Foremost marketing representative! Don't know who your rep is? Click here (you'll need your Foremost producer code, or call 1-800-237-6136).